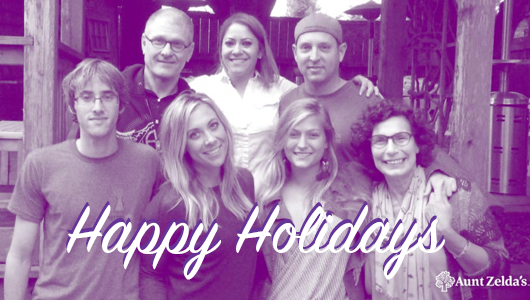 Happy Holidays from Aunt Zelda’s Team! End of Year Dates and your end of year product discount. So that we may better serve you in the new year we will be closed from Saturday, December 23rd, 2017 until Monday, January 2nd, 2018.
and receive 20% Discount and Free Shipping. Our specially-formulated Women’s Blend is designed to meet the changing needs of ‘women of a certain age’. Thank you for your continued support and, may you and yours have a happy healthy holiday season. Aunt Zelda’s Health Tip: Eating a healthy diet is needed year-round, and there are ways to participate in the festivities without foods and beverages that are detrimental to our health.